Planning a trip to Nombre de Dios National Park? The Nombre de Dios National Park is one of the youngest national parks in Honduras. It was declared a Park by the National Congress of Honduras during the presidential period of Ricardo Maduro, who administered Honduras between 2002 and 2006. Nombre de Dios National Park is located in the department of Atlantida, on the North Coast of Honduras between the municipalities of La Ceiba and Jutiapa, and includes the Garifuna Communities of Nueva Armenia, Corozal and Sambo Creek within its limits, as well as the Cacao Lagoon that is located within the municipality of Jutiapa. From the tourist’s point of view, the Nombre de Dios National Park offers many different options. Perhaps first and above all we should put emphasis on the Garifuna Culture. This unique culture has the status of Intangible Cultural Heritage by the UNESCO giving it a unique and outstanding position. There are three different Garifuna communities within the Nombre de Dios National Park. Corozal and Sambo Creek, which are both within the municipality of La Ceiba. The Garifuna community at Nueva Armenia, which is within the municipality of Jutiapa. All of these communities have fishing outposts in the nearby Cayos Cochinos. Of these, Chachahuate is the most colorful of all Garifuna communities in the World. Another of the crown jewels of Nombre de Dios National Park is the Cacao Lagoon. This small lagoon offers a combination of mangrove and tropical rain forests, which are teeming with wildlife. You can easily see both howler and white faced monkeys from the comfort of your boat or kayak as you tour this lovely tropical lagoon. 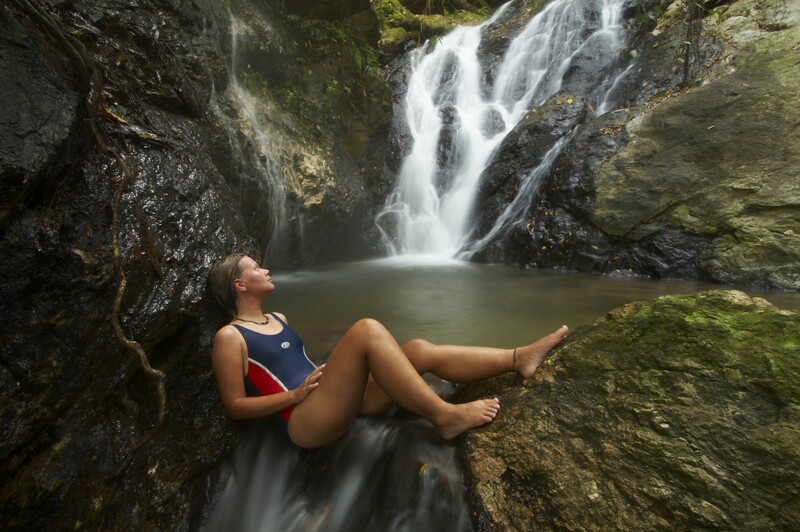 Another unique activity within Nombre de Dios National Park is a visit to the hot springs just above Sambo Creek. Although there are many different hot springs within the park. Those just above Sambo Creek offer the best facilities. 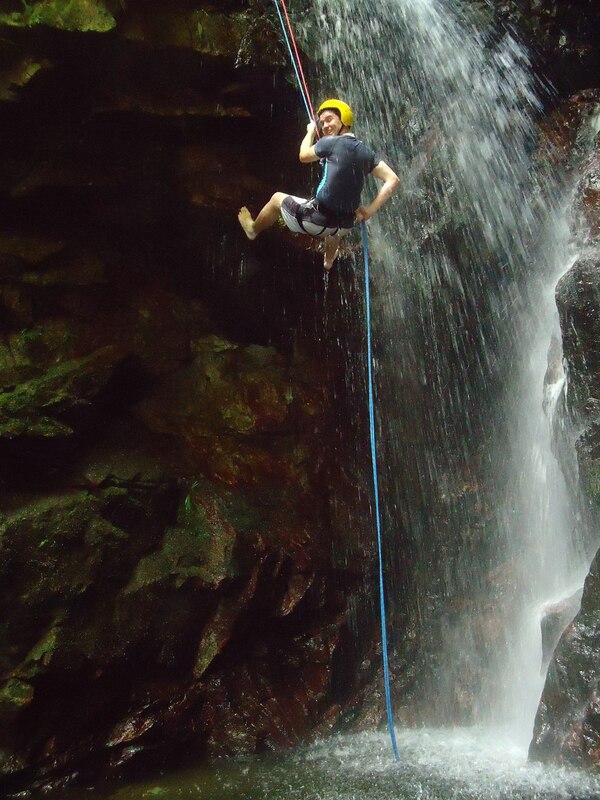 These which include a zip line canopy tour that sends you flying over the hot springs from tree top to tree top! The hot springs create small natural pools that cascade town the natural ravines. These provide a unique natural setting that blends in beautifully with the walkways, decks and massage huts where the massage services are provided. Last, but definitely not least, the Cangrejal River Valley. This area is shared between Pico Bonito and Nombre de Dios National Park offers a variety of lodging options. Perhaps the most unique La Villa de Soledad B & B jungle eco-lodge. 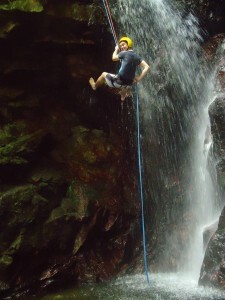 Here you will find a combination of adventure and nature activities. These include white water rafting, horseback riding tours and, rappelling down waterfalls. Hiking in the trails within the National Parks is also available. 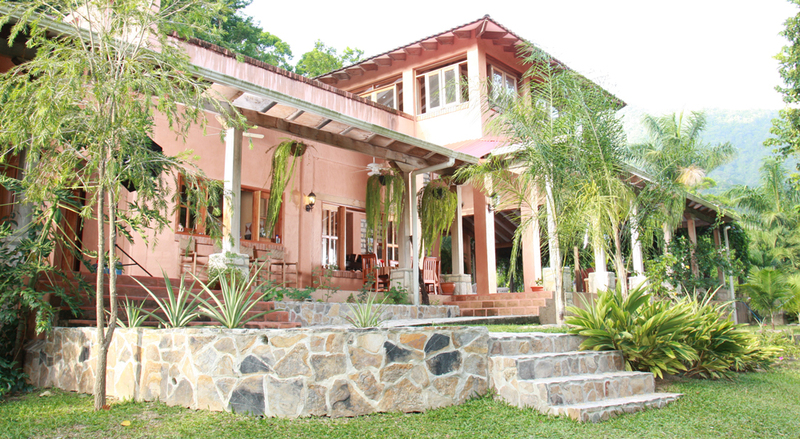 Come and discover Nombre de Dios National Park and stay at La Villa de Soledad B&B, your best lodging option for both Pico Bonito National Park and Nombre de Dios National Park!